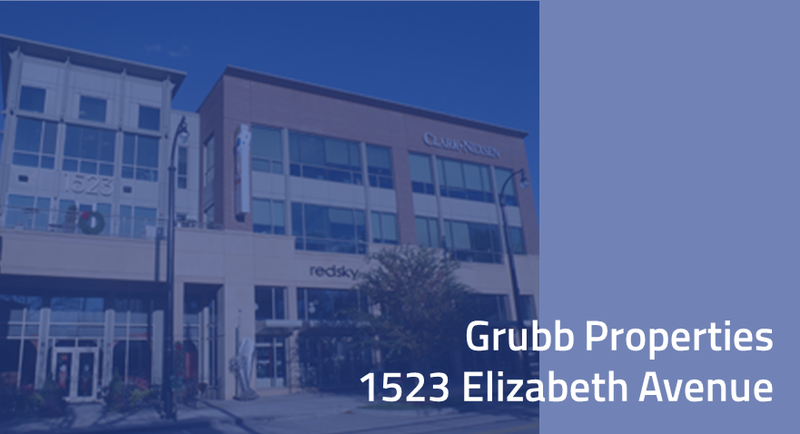 1523 Elizabeth is a 39,000 sq ft office building, developed in 2005 and managed by Grubb Properties. Restaurants and retail shops are on the main floor, and 22,000 sq ft of office space fills the second and third floors. The building was outfitted with “smart” equipment but was operating in an outdated, inefficient “passive” manner. The building control system was Web accessible, but equipped with neither fault detection nor data-driven optimization algorithms. Tenant comfort was addressed only reactively after complaints were lodged. Equipment was allowed to run and cycle unbounded, as long as static comfort conditions were maintained. PointGuard provided a suite of technology and analytics to diagnose problems and quickly develop a plan. Then, leveraging our customized solution, we integrated the existing gateway control device into our cloud-based data analytics suite. Following the simple rule “You can’t optimize what you can’t see,” we used early analytics results to repair or replace sensors throughout the facility that had lost calibration or broken completely. An interval meter was installed onto the main electric meter and integrated into our portal so that facility electricity usage could be monitored and analyzed in real time instead of having to rely on stale monthly utility bill data. Quick findings inspired the deployment of active reset algorithms to control supply air temperature and discharge air pressure off the packaged HVAC systems. Monitoring how the airside economizers were working led to controls modifications that leveraged this system feature more often. Terminal units with stuck or disconnected dampers were identified and fixed to reduce excessive electric reheat and provide better comfort control. PointGuard’s Intelligent Building Analytics provides constant monitoring of data to ensure increased tenant comfort, extended asset life, and lower operating costs. Energy savings were immediate and sustained. After the initial wave of fixes, winter electric bills decreased. Over the long term, savings held around 20%.